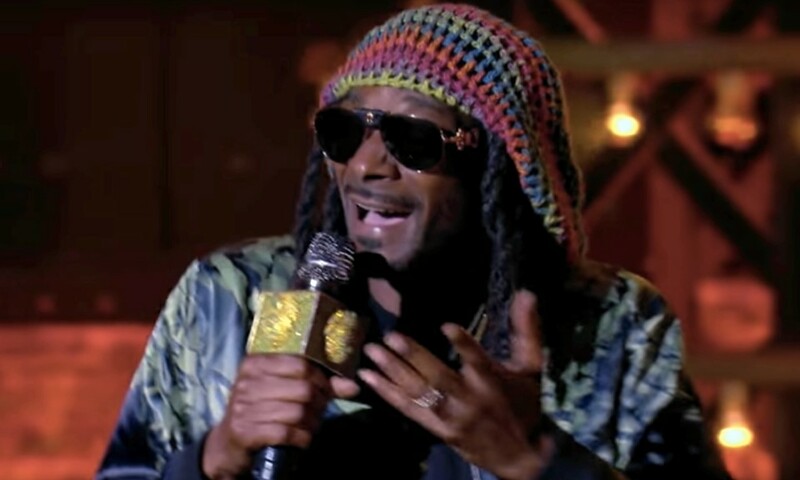 Snoop Dogg battled it out against Los Angeles Clippers point guard Chris Paul in Spike TV’s latest episode of Lip Sync Battle, a competition where celebrities duke it out against each other in full-fledged faux karaoke fashion. At stake is a championship belt, bragging rights, and mad props from host LL Cool J. While Chris Paul came out the gate with an impressive homage to the D-double-oh-g himself by performing “Gin & Juice,” Snoop answered back with an unsurprising pick given his affinity for the sticky icky: Bob Marley and the Wailers’ “Could You Be Loved.” Check out the performance below, and if you want to know who won the competition, scroll down past the video to find out. Round 2 of the battle consisted of Chris Paul busting out a quite amusing rendition of New Edition’s “Candy Girl,” while Snoop surprised us all by mouthing along to one of the greatest power ballads of all time, Journey’s “Don’t Stop Believin’,” complete with epic Steve Perry hair.